The president pointed to the need "to hinder this division on all international platforms"
DAMASCUS, January 17. /TASS/. Syrian President Bashar Assad has said at a meeting with Russias delegation that attempts are being made to divide the Church of Antioch in Syria and Lebanon in a manner similar to the church schism in Ukraine, member of Russias State Duma (lower house of parliament) Dmitry Sablin, who leads the delegation and who is a co-chairman of the working group on the implementation of the agreement between the United Russia party and the Arab Socialist Renaissance (Baath) Party, told reporters on Thursday following meeting with the Syrian leader. "Attempts to divide believers are one of the most serious challenges not only for you, but also for us," the lawmaker quoted Assad as saying. "Today we see attempts to divide the church on our soil as well, that is, an attempt to divide the Church of Antioch in Syria and Lebanon." The president noted in particular that granting independence to the Lebanese Metropolitanate was being discussed and warned that "the continuation of that process could follow." The head of state pointed to the need "to hinder this division on all international platforms," Sablin went on to say. "Otherwise, we will have hundreds of Orthodox Churches and only one Vatican," he quoted Assad as saying. "When we see artificial attempts to divide the people, to divide the church, the way it is done in Ukraine, it is essential to meet and get first-hand information," the Syrian president stressed, adding that "todays battle is not only for Syria but for the whole world." 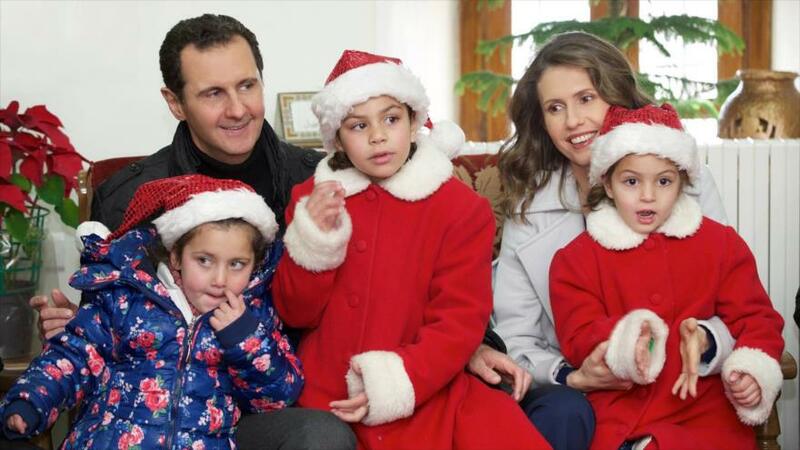 "Christianity is love and peaceful coexistence, but we see that today this does not work in light of attempts to split peoples and churches," Assad pointed out. He added that Russia "coexisted with the West peacefully for 20 years, but today it is attacked from all sides, and these attacks show no signs of abating." The Syrian leader said it was very important "not to stop working with young people and push ahead with efforts to consolidate people," Sablin concluded. The Church of Antioch is a local autocephalous Orthodox Church consisting of dioceses, which are located mainly in Syria and Lebanon and also in Iraq, Kuwait, the United Arab Emirates, Bahrain and Oman. The church also has Arab parishes in Europe, North and South American countries and Australia. Kiev has sought to create a Local Orthodox Church in Ukraine independent of the Moscow Patriarchate since 1991. Last year, this initiative was supported by the Patriarchate of Constantinople, and the "unification council" was held in Kiev in December. During the meeting, representative of two schismatic Ukrainian churches (the Kiev Patriarchate and the Ukrainian Autocephalous Orthodox Church) announced the creation of a new church, the so-called Orthodox Church of Ukraine. The Tomos of Autocephaly (a church decree on establishing an independent church) was granted to its head, Metropolitan Epiphany. The canonical Ukrainian Orthodox Church refused to take part in the event, stressing that both the unification council and the newly-founded church were illegitimate. Bolton, Trump, Pompeo and Javanka are trying to establish a Nazi Orthodox church in Syria? Hillary must be proud of them, Jeb! too. Syria before ISIS was a country where Christians and Muslims lived more or less in peace. Bashar al-Assad (Shia Islam) had no trouble to welcome the late Pope John Paul II in 2001. Assad is a secular leader. Vlad & Bashir have defeated the Obama/Trump ISIS Muslims, and they will defeat their Othodox Nazi's too.